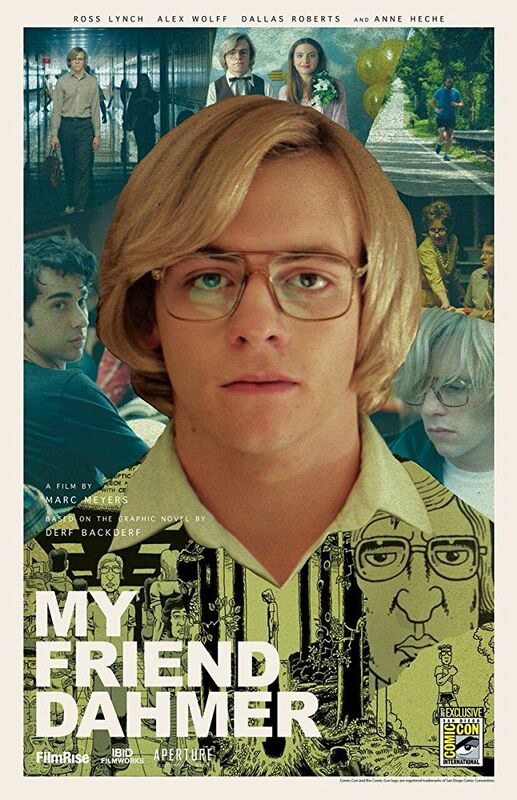 My Friend Dahmer is a 2017 American biographical drama film written and directed by Marc Meyers about the American serial killer Jeffrey Dahmer. 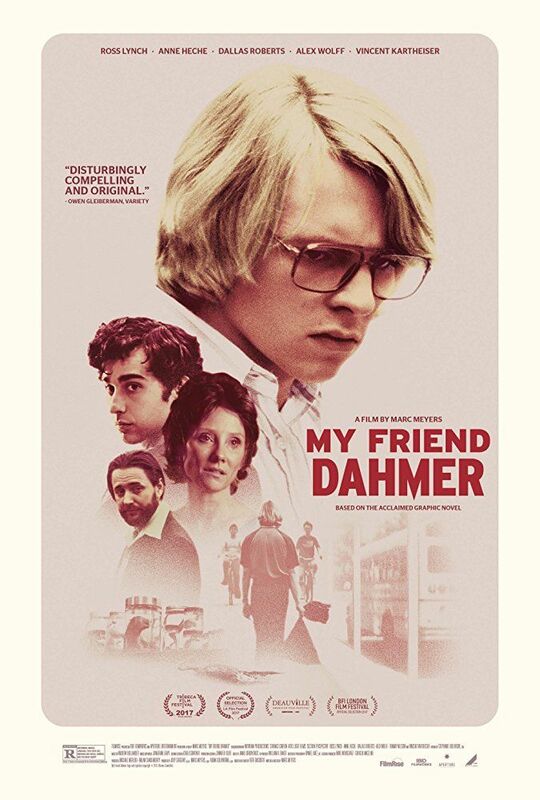 It is based on the 2012 graphic novel of the same name by cartoonist John "Derf" Backderf, who had been friends with Dahmer in high school in the 1970s, soon before Dahmer began his killing spree. The film stars Ross Lynch, Alex Wolff, Dallas Roberts, and Anne Heche. Read more on Wikipedia.